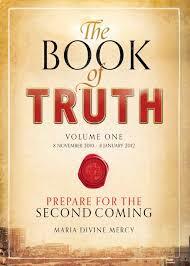 Book of Truth Prophecies Fulfilled – Part 1. This message was dated and released on the 11th Feb., 2012. “The schism in My Church will be broken into different stages. Cardinal Timothy Dolan on Sunday (Nov. 2, 2014) announced that nearly a third of the archdiocese’s 368 parishes would be merging, and some would close. The changes were to take effect on Aug. 1 2015. On 13th October 2013, the statue of Our Lady of the Rosary of Fatima travelled all the way from Portugal to the Vatican. The 4 Cardinals (Burke et al, Bishop Schneider… ). The first step was when Cardinal Burke told us to “stay faithful”. The Dubia was later presented to pf and awaiting a reply. They have promised “a correction”.